Hope-Siloh Church's flourishing Youth Club meets weekly every Sunday evening during the school term between 6pm and 7.30pm; Biblical Studies for the young people are held on alternate Sundays. 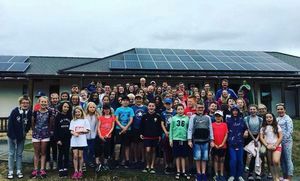 As part of the Club's annual programme members (varying between 12 and 20 in number, aged from 9 to 16 attend a Christian Youth Camp in late July or early August. 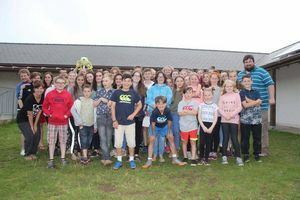 The usual venue has been the St Madoc's Youth Facility at Llanmadog on the Gower peninsula, but owing to its unavailability in 2019, the Camp will be relocated to the Training Centre of the Welsh Presbyterian Church in Bala College, north Wales. It will take place between 22nd and 26th July. Our members will be joined by other youngsters from two Swansea Baptist Churches, making this an inter-denominational experience for all youngsters. The project gives young people the opportunity to meet, socialise and participate in a variety of activities in a supportive Christian environment, and encourages them to discuss and consider issues of importance related to their faith. For our youngsters, therefore, this is an extension of their weekly meetings in the chapel but in a residential situation. Our Church belongs to the Union of Welsh Independents, and its various religious services and associated activities all take place through the medium of the Welsh language. This is also the case, of course, with the Summer Youth Camp. 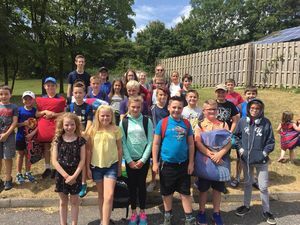 A descriptive article summarising the activities enjoyed at the Camp is published in Welsh in our Church magazine, Cwlwm, which can be viewed on our website www.hopesiloh.tk, and also in the weekly journal of the Union of Welsh Independents – Y Tyst.